IP stands for Internet Protocol. An IP address is a software address and its not hardware address. 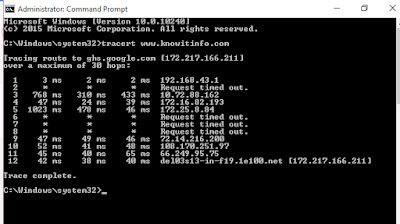 The IP address use for finding hosts on a network. By IP address, devices communicate with other devices on network. An IP address serves two principal functions, host or network interface and identification and location addressing. IP address is managed by the IANA (Internet Assigned Number Authority). Each ISP assign an IP address to each device connected to its network. The internet protocol version 4 is used in 1983. 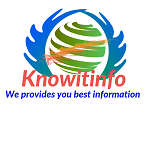 Internet protocol 4 is a 32 bits address and its provides 4294967296 network addresses. IPv4 reserves some IP addresses for special purpose such as multicast addresses and private networks. IPv4 addresses are usually represented in dot-decimal notation, its consisting of four decimal number, each ranging from 0 to 255 and separated by dots (such as 127.0.0.1). IPv4 each part represents a group of 8 bits of the address. We can call octets. Internet protocol version 6 is a 128 bits address and its separated by colon (such as 2001:0db8:85a3:0000:0000:8a2e:0370:7334). An IPv6 address represents as eight groups of four hexadecimal digits, each group representing 16 bits. 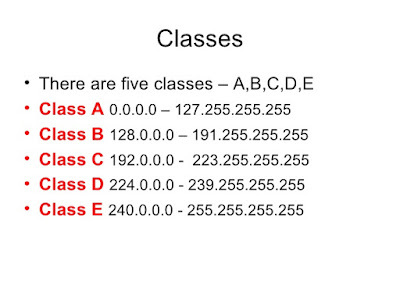 Class A addresses are assigned to network with a very large number of hosts. The high order bit in a class A address is always set to Zero and the next seven bits complete the network ID. The remaining 24 bits represent the host ID. The class A address range between 1.0.0.1 to 126.255.255.254. Class A supports 16 million hosts on each network. Its subnet mask is 255.0.0.0. 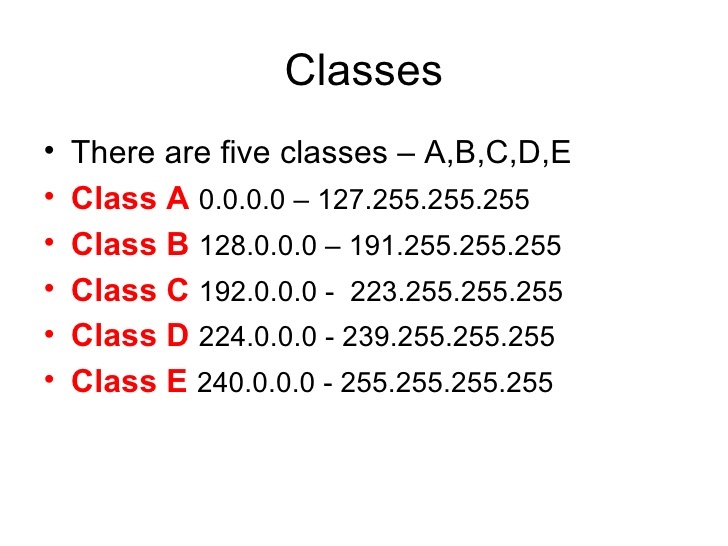 Class B addresses are assigned to medium size to large size networks. The two high order bits in a class B address are always set to binary 1 0. The next 14 complete the network ID. The remaining 16 bits represent the host ID. The class B address range between 128.1.0.1 to 191.255.255.254. Class B supports 65000 hosts on each 16000 of networks. Its subnet mask is 255.255.0.0. Class C addresses are used for small networks. The three high order bits in a class C address are always set to binary 1 1 0. The next 21 bits complete the network ID. The remaining 8 bits represent the host ID.The class C address range between 192.0.1.1 to 223.255.254.254. Class C supports 254 hosts on each of 2 million network. Its subnet mask is 255.255.255.0. The class D address range between 224.0.0.0 to 239.255.255.255. This class is reserved for multicasting. The class E address range between 240.0.0.0 to 254.255.255.254. This class reserved for future use or research and development purposes. 0.0.0.0 Addresses used to communicate with the current network. 169.254.0.0 Is link-local addresses (APIPA). /8 represent class A subnet mask (255.0.0.0). /16 represent class B subnet mask (255.255.0.0). /24 represent class C subnet mask (255.255.255.0).